A1 Intradaytips app is one of the best Android app for Intraday trading for day traders in stock market. If you are looking to make money doing day trading, this will help you with daily free tips and nifty levels. This Android Application can be used by our Paid Members as well as Trial Members in their free trial. So even if you are taking our free trial, you are advised to installed this application in your android smart phone to benefit from freebies that we are offering to our clients. Open Google Play store Application in your Mobile. After downloading and Installing our app click on open for first time and enter your 10 digit mobile number. Our application will show your status i.e if you are Paid member or a free trial user, and accordingly it will start working. 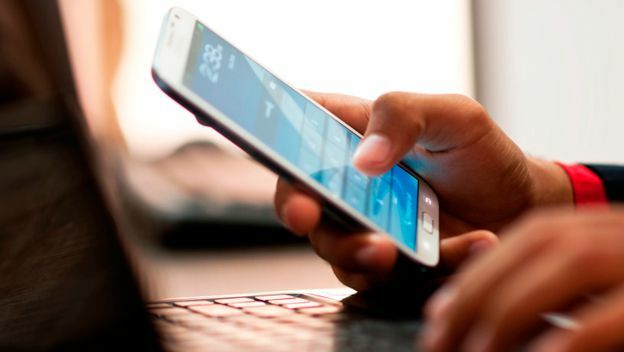 You will start receiving share tips notifications apart from the share tips via sms on your mobile according to your membership or free trial subscription dates. 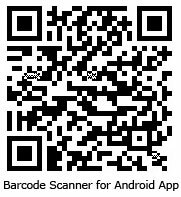 If you have any Barcode Scanner App Already installed in your Mobile, you can installed our Appp by Scanning the above Icon and then clicking on the link to directly Installed our Best App for day trading in Nse Share Market. Daily Free Nifty Level : Both Paid Members & Free trial member can track the Daily Nifty level with day support and resistance for the Intraday Trading before opening the Marke For Life time . Free Nse Equity Cash Tips : Members (Day traders) will get one Free NSE cash stock Equity Call for Buying or Selling according to Market Trend with stop loss and targets at 9.00 A.m. ( Before Opening Market for life time free). Stock Tips By Notification : Our all Trial Members as well as paid members will get by Notification's ( free trial Members only for 2 days ) which is more fast then our Sms. Our paid Members will get the our Intraday Stock Tips by 3 Ways. By Notifications if you have installed our Android Application & Opted for Notifications. Once you will Download our Application you will get following life time free features on your Mobile. Free Nifty level for Intraday. Free Intraday One Equity cash Stock. Once or Twice in a month Free Intraday Sure Shot call. Whenever we at A1 intraday tips will launch any Special offer on subscription plans for existing paid member or clients, We will send the information via notifications to you via android notifications, if you have installed our Android Application.